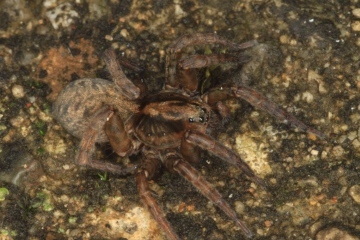 The spider is found in a wide range of habitats, including woodland, grassland, heathland and industrial sites, under such things as stones and logs, but showing a preference for drier, heathy conditions, although in bogs and marshes it may often be taken in pitfall traps. Unlike T. ruricola it can be common in upland areas (J. Newton, pers. comm.). Adults of both sexes have been recorded from March to November, mainly from spring to mid-summer.